This week dragged on...anyone else feel that way? I was out of the office for two days this week, but between appointments, lack of sleep and getting ready for our trip, I have been running full force all week. Let's hope things settle down a bit. ONE. Ok fellow parents, I need some advice. My girls used to be decent sleeper. I say decent because we would wake up zero to two times a night to give them their paci and then it was back to bed. They would sleep in until 5:30 to 7 am depending on the day (week vs. weekend). Two weeks ago we made the decision to transition the girls into toddler style crib/beds. We removed the front of the crib and added on the half bar attachment. Some nights are ok meaning that they will sleep from bedtime until 4:15 or 5:15. We will usually let them come snuggle with us since it is closer to wake up time (yes we wake up early on weekdays). But most nights are they wake up several times a night crying for their daddy, sitting up in bed and wanting to get out. We either have to lay in their room with them until they fall back asleep or give in and let them come to our room. I am not in favor of the come into our room because space, I can't sleep and they move/kick way too much. Two nights ago I was in there for 3 1/2 hours trying to get them back to sleep. My neck was killing me from laying on the floor and I was dead tired. I only got a few hours of sleep and I had a meeting the next day that I needed to be rested for. What I am trying to get at is, what should we do? Do we put the crib railing back on and wait until they are three? Stick it out and know we won't sleep well for awhile? Other suggestions. This mama is desperate and having a rough time. TWO. I don't know if you all saw on IG a few days ago, but I went to the doctor for my annual wellness check. It is for my insurance, but since I was there, I thought I would mention to my doctor about my lack of energy and being tired all the time. I always chalked it up to having twin toddlers, but something told me that it was more. Plus I had my blood test results from my life insurance exam and a few of the items were high and of concern. My doctor took note of all of this and sent me off to have more blood work done and have specifics tests done this time. He focus on my thyroid, liver, kidneys, iron, b12, b6, the items that were high and a few others. I went immediately over to get my blood drawn and the next day (Wednesday) I got some results. My b-12 is really low and another thing was as well. He said I needed to get labs done again on two other things to see what the exact thing we need to treat for. So I know I have a b12 deficiency which definitely explains my energy levels. What I am getting at is be proactive. I hate going to the doctor so I never bring up things that are bothering me because I always think they are just normal or from having twins. But in this case, they weren't. Hopefully I get my new test results back soon. THREE. This week I participated in a giveaway for Lipsense. I have hard a ton about it, but never wanted to pull the trigger on spending $50+ on lipstick. I wear chapstick because I have kids, but I have heard so much hype about being able to kiss your kids/spouse, all day wear and lasts through eating. For the giveaway you had to pick who was going to win on The Bachelorette. I barely watched this season, but I knew a bit about who was left, so I chose Bryan and of course he won. #ringchaser #wrongchoice And then I won the giveaway, so I have Bombshell and a glossy gloss coming to me this week. I can't wait to try it and report back on it, but I am fearful that I will like it a lot and want more colors. Have you all tried Lipsense? FOUR. I am on the hunt for new slippers. I am embarrassed to say that I wear my old pair of Ugg slippers and one of them has a giant hole where my big toe is. I still rock them daily and my girls even say NO SLIPPERS when I am wearing them and we are getting ready to leave. It is like they think I will wear them out in public, but I only wear them out to take out the trash (public). I know I don't really need them until Fall/Winter, but the search is on. 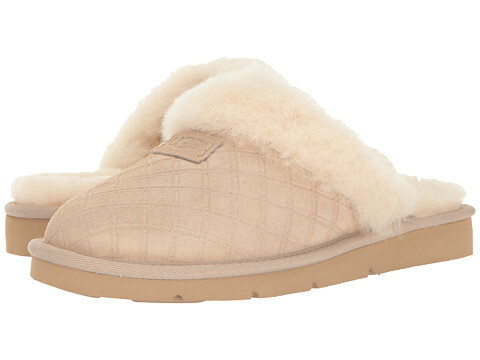 What are your favorite slippers? These are very similar to the ones I currently have. FIVE. We are on vacation next week, so I probably won't be posting much in the next week. I hope I can get my act together and write a post or two today for next week, but no promises. I say if the girls were sleeping good in the cribs and all this happened when they transitioned to their beds then by all means put their cribs back together! I am all about good sleep and theres nothing wrong with them being almost 3 and still in a crib! Good sleep is important to all. I love lipsense! So glad you won! You are going to love it. Have so much fun on your trip, a blogging break was welcomed for me when we went on our trip! Happy Friday! Ughh I'm not sure what to do about the girls sleeping situation! Do they leave their room or just cry/yell until you go in? We always put a gate at our kids door when we transitioned to a toddler bed and if they got up I would just go and lay them back down and tell them to go back to bed (sometimes several times a night!!) We got lucky with Avery, she was the easiest of the 3 to transition but I remember it being awful for the others. I think hang in and they will get it, but if not, it's ok to go back to the crib! Sleep is important! I just went for my yearly physical yesterday and also brought up being really tired as a concern so they are checking the same things, we'll see what the results come back with! Yayyyy for winning Lipsense! I want to try it too but I don't want to shell out $50! Can't wait to see it on you! Ohhhh I had the same issue with #babybigtruck when we changed from a crib to toddler bed, we wound up going from toddler bed to a full size bed and we have not had any issues since! May want to think about that! Lipsense...LOVE it! I have a couple colors! It's totally worth it! You being tired, besides the b-12 definitely get your thyroid checked, mine went all out of wack after I had kids and I am not on synthroid and it has mad a WORLD of difference! I also have Hashimotos so theres that. 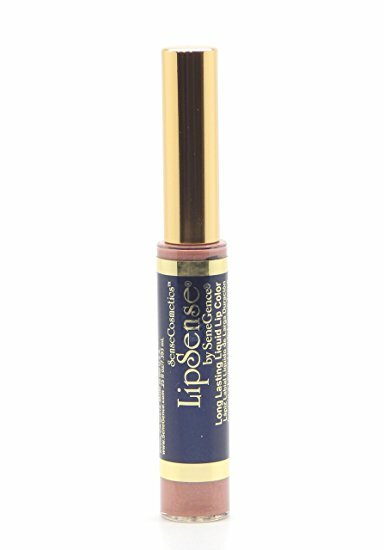 Awesome that you won some lip sense to try! I have bear paw slippers like your ugg ones. Glad you have a doctor that is on top of things. My B12 & Vitamin D is so HORRIBLY low. Glad those are things you can help on your own & naturally. Hope you get the rest of your test results back with good results. I've seen everyone talk about that Lipsense but I'm the same, cant pull the trigger for that much for lipstick when I dont wear any anyways. OHHHH the sleeping situation. Goodness gracious, I wish I had some advice for you but I don't. Jacob transitioned easy to his toddler bed, but when we took the paci it was a NIGHTMARE. Olivia had a hard time transitioning to her big girl bed, but after a couple of months she was good to go. I just kept telling her "I'll come back and check on you" a thousand times an evening and then gradually I spread them out longer and longer until I only have to do it about twice now and then she goes to sleep. I might consider a longer rail too. I think the girls are more scared with the shorter rail. And thank you. I am feeling better, but need to get some supplements soon too. We haven't done the bed switch yet because Ben (miraculously) has not climbed out of his crib. He is so physical, but somehow he just doesn't try for the that. I'm nervous for the transition though. I like your crib set up with the bars. I think we're just going to do a full size bed for Ben since he is so big and we can double it as a guest bed too. I have no good advice, ha, but let me know if you figure out any tips. Maybe a whole post about the transition once you've gotten the hang of it. Oh nooooo! You need that sleep....and even more so THEY need that sleep. If they can't climb out of the crib I would put the rail back up. Walk out of their door at bedtime, tell them you will see them in the morning and absolutely do not go back in. It will take 2-3 nights but they will get it. I think you are right. It is so hard dealing with sleep transitions and having twins!!! Lipsense is awesome! Make sure you wait a few seconds in between coats so the pigment dries, and then always use the gloss afterward. My cousin wore hers during labor just to prove its lasting power. Lasted the entire time haha! Your doctor story reminds me of what happened to me a few years ago. I was so tired and just felt off and couldn't figure it out. I finally found a doctor who listened to me and ran some test. Sure enough, I was dangerously low on B-12 and Vitamin D and my thyroid was a little slow. I had to start getting B-12 shots and took a Vitamin D supplement. After some adjustments to my diet and a year or so of all of that....I got back on track and no longer needed any of it. I need to go get tested again now that I have gone through a year of carrying a baby and make sure nothing is out of wack. I hope that you get a good treatment plan going that makes you feel better! I wish I had advice for your girls, but as you know, I am behind you on all of these things. Maybe it is just a little phase? Someone commented the other day about their 18 month old going through a sleep regression. Ugh. I'm getting ready to deal with that situation tonight. First night in a big girl bed. Cam was so easy. He never climbed out of his bed until we moved into our new house and we allowed it. We will see if emmy is that easy. Yay for winning Lipsense. I want to try but just can't justify the cost. I'm so glad that you were proactive when it came to the doctor. There are some things that I need to address with my doctor and this post has really pushed me to do it. Hmm. My oldest has been the ideal sleeper since day 1. My youngest not so much. It's only been in the last few weeks that he has started sleeping through the night. I didn't do anything - he just started. But he's been in a toddler bed for awhile. I think if they can climb out, you wouldn't want to go back. I think maybe just give it some time but I'm also the mom that lets her kid get in bed with them if it's not to early in the night. I'm no help. Clearly. Spence struggled for a couple weeks with the big boy bed, but we did two things that really helped. We got a sound machine with projector, so he had something to look at. We also got a couple bean bag chairs, so he could move around if he wanted and really look at his books easily. I don't want to discourage that at all - we want his room to be his space. We made sure there was a special knob so he cant get out and is safe. Also, we got a "get up clock" that turns green when he's allowed to get up, and he loves that. It gets easier, but I will say, the first night when I went in to be with him and coax him back to bed, he learned he could get to me. I highly recommend letting them move and be free if they'll do it without crying <3 It gets easier!